While we can’t help you eat better or exercise more, we can offer help while you begin to think about your 2017 New Year’s Resolutions. If you want to spend less and save more, track your finances with paper statements, receipts and a simple notebook. A 2016 study about paper statements released by the National Consumer Law Center found that people are more likely to review paper statements than online statements, thus making it easier to notice fees, spot fraud and recognize overspending. The study cites research by the Consumer Financial Protection Bureau that shows that half of the consumers who receive electronic credit card statements don’t even bother to open or review those statements. The same study found that paper statements are more likely to help consumers balance their accounts and keep track of their finances because they are more likely to be seen and are easier to set aside in a to-do stack. Paper statements are also critical tools for record keeping, as they’re proof of residence and can qualify consumers for new lines of credit. Paper statements can also be easily accessed by low-income households and the elderly, who may not have computers, smartphones or the skills needed to access account information online. Even computer-savvy consumers often prefer paper statements because they don’t get lost in an inbox full of spam. A 2015 study by the United States Postal Service’s Office of the Inspector General examined consumer preferences for transactional mail — mail related to billing and invoicing — and found that 91 percent of a major U.S. utility’s customers chose to receive paper statements even though they preferred to pay those bills online. Why? Consumers value the piece of physical mail as a record-keeping tool and a reminder to pay, according to the report. The paper versus online statement debate can be fierce, but for those who’ve already decided on paper, not much can change their minds. CreditCards.com reported that 46 percent of people who prefer paper statements would not switch to online statements even if they were charged for mailed statements. That research also found that 55 percent of respondents who get online bank statements also receive mailed paper statements, and that 44 percent of credit card holders receive both types of statements. Whether you prefer paper statements, electronic statements or both, the data is clear that paper helps consumers keep their finances on track. 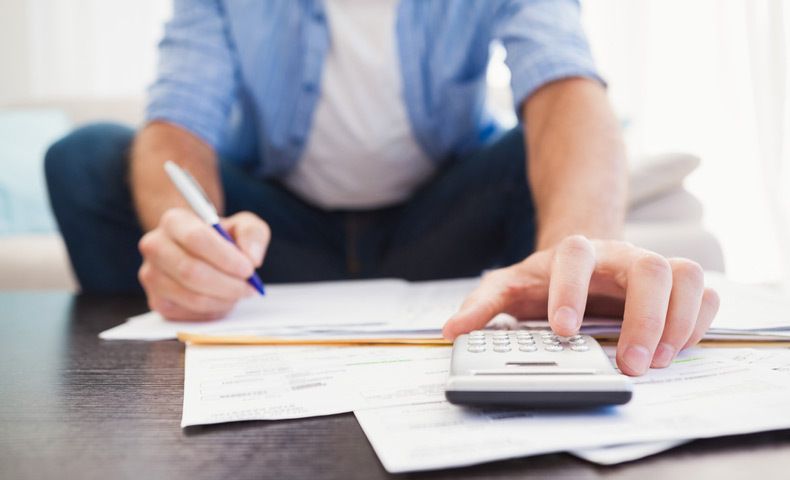 Paper has been a reliable method for tracking finances ever since it was invented. The same cannot be said about online money management tools and applications. As with any computer-based system, transactional technologies can fail. Servers can go down, making it impossible to access data on demand. Paper statements, receipts and other documents, however, are more reliable if organized and stored properly. Many institutions only keep computerized records for a limited time — some for just a few months. Unfortunately, issues can arise that require proof of purchase months or even years later. A paper statement or receipt can be invaluable in such a situation. We’ve all heard stories of identity theft through online servers and email. Online systems don’t have the benefit of human intuition and can’t necessarily flag or react to fraudulent charges and account changes that could affect your ability to pay bills and negatively impact your credit score. The Paper and Packaging Board’s 2016 back-to-school report highlighted research that proved that students are more engaged in learning and better prepared when using printed textbooks, taking tests on paper and taking notes by hand. They focus better without the distractions inherent with online connectivity. The same principles are in play outside the classroom; consumers pay more attention to their finances and have a better understanding of the information when there are fewer distractions. However you choose to manage your finances, here are four ways paper can help you succeed with your 2017 financial resolutions. Keep a small notebook with you and write down every penny you spend for a month. It can be helpful to separate expenses by category. Yes, it takes time and effort, but nothing will give you a clearer picture of how and where you spend money than this simple paper-based accountability tool. You’ll quickly see where you’re spending too much money and what needs to change for you to reach your financial goals. Use the notebook you created and your past paper statements to build a budget. There are many resources available online for how to build a budget. It doesn’t matter whether you write it by hand or use a software program to create it and print it. The key is to have a hard copy of a budget that you can reference. By having a written plan for your spending across all categories, including fixed and variable expenses, you will have clear guidelines against which to measure your spending and saving habits. Use your paper bank statements to reconcile your checking and savings accounts. Go through each debit and credit on your account to be sure it was recorded properly and that there are no discrepancies. The process of balancing your accounts can also highlight areas where you may need to spend less. If you need help with this process, contact your bank or search for tips online. Do you have a system for storing your paper statements, receipts, tax documents and other important financial papers? If not, create one. You can organize items by date or by category. Having a good record-keeping system can help you reconcile bank statements, create a budget, prepare for tax season and more. You can follow these Consumer Reports recommendations for how long you should keep tax records, receipts, paper statements and other important documents.